By Sully, December 23, 2018 in LET'S CREATING! 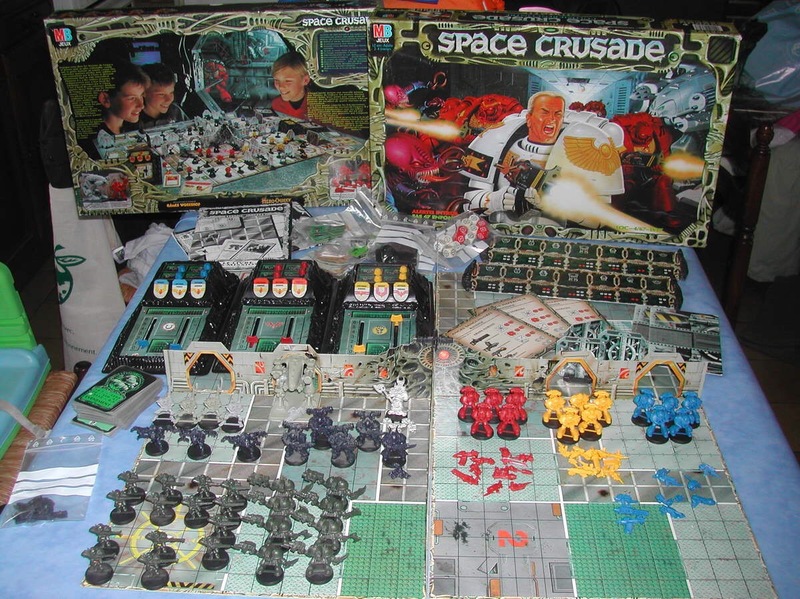 Years before I was interested in Guyver, way back in 1990 I fell for a board game called Space Crusade! This game was my introduction to the Space Marines and and the lore around them. I would go on to buy the Expansions A friend of mine at the time explained that this game was part of the Warhammer 40,000 universe and I'd go on to star collecting a magazine called White Dwarf which would give me the rules to expand the miniature range in the game. 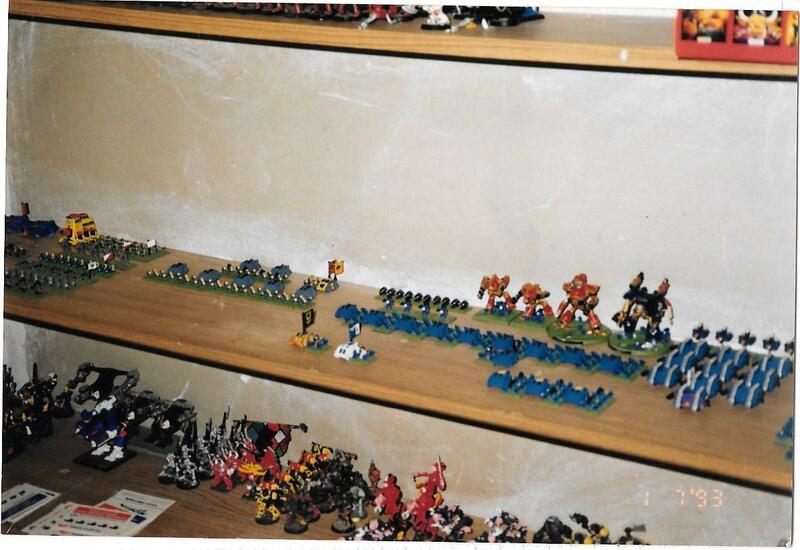 This is a picture of my bad guys from Space Crusade army at the bottom and my Epic 40K Army above from way back in 1993. All of the minitures were hand painted by me back in the day. So to me there has always being a connection between my ability to paint minutes and Guyver. They though were the last things I ever painted. I moved back to Ireland in 1997. I found this picture of me from 2001. At the time I was living in a flat in Dublin where I worked and went back to College (at the time in this picture I was a year into my degree). So there I was happy enough with my stuff the way it was. For me miniatures hand hand painting anything is something of the past. But one important thing happened 6 months ago. For the first time in 12 years of working in and around Dublin I found a job close to home!!! It's a weekly magazine and it's like dipping your toes back into the hobby..... Well I broke down and subscribed! After weeks of reading these, looking at peoples YouTube videos on how to paint stuff I've being collecting the miniatures that come free with the magazine. I'm now obsessed with them as much as I was when I was kid in my family home and first opened and played Space Crusade. Last month I was cleaning the shed to find my old paints and in the storage box I found my old Guyver resin kits... the same ones waiting 20 odd years for me to paint!!! So here I am now. I've yet to paint any of my new miniatures because I don't want to destroy them being the first things I paint in 20+ years. So I've being buying old 40K armies from ebay... The thought being well if I ruin them I've no personal attachment to them being 25 year olds I've owned for AGES or brand new ones I got with the mag. This though now as made me learn a few things from lessons I've learned in the past myself and between the research I've being doing I've decided a few things. 1) I've effectively 2 armies building at the moment just as a result of buying Conguest on a Sub. As you see above my old army is Ultra Marines so the Primaris Marine army that comes with the mag will be them and the 2nd being Death Guards means they will be the Chaos army I collect. I've limited space so unlike Epic 40k which you could fit multiple armies on a single shelf this means I'm best off focusing on them. 2) I want to redo my old marines. I've realised as I looked at Youtube vids and read up on it that back in the day I did extremely well for a kid with no Internet (it wasn't a thing the normal kid had access too in 1990! nor was a decent Windows PC!). So I will be modrenising my old Space Marines, which is another reason I bought some old armies from ebay, they will be the test for removing old paint etc with mentholated spirits and the like. While I do look at them as something great for the past I don't want them looking stupidly out of place beside my new Primaris Marines. This includes some minor conversions etc. Looking at this I really want 1 to lead my 40K army!!!! Man. The concept of a Guyver would make Imperials freak out, but Chaos warriors would LOVE it. Physically merging with an alien??? That is so unclean it can't even be described. That's Tyranid territory. Indeed brother, this heresy will warrant the attention of the Inquisition and possibly the Death Watch. ”Suffer not the alien”. To pollut ones human purity with xenos filth is one of the greatest sins against the god emperor a human can commit. I also like the more reusable nature of this vs a disposable plastic palette. This is something I never used properly as a kid, I mixed paints usually in the paint bottle they came in when they got 1/4 the way to empty.... To making a palette is important to me as I want that smooth finish and this wet method is even more important as it cuts down wastage. FYI this is what a palette pad is. This is great for quick uses, but as the guy starts off with that is a palette for mixing paint. though allows your paint and more importantly you newly mixed paint and colour to last a lot longer.